Law office of Brodsky & Smith, LLC announces that it is investigating potential claims against the Board of Directors of Covance, Inc.
LabCorp buying Covance is a win-win for investors, Cramer says. 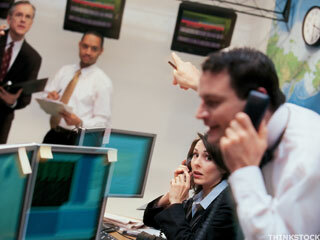 U.S. stocks fluctuate on Monday after the Dow Jones Industrial Average and the S&P 500 hit record highs on Friday. Levi & Korsinsky is investigating the Board of Directors of Covance Inc.
Companies say their combination will create world's leading healthcare diagnostics enterprise. U.S. stocks are trading mixed on Monday. Covance (CVD) is gaining Monday after LabCorp (LH) announced it will acquire the medical laboratories and research company for about $6.1 billion. U.S. stock futures are pointing lower on Monday after Friday's gains that saw the Dow Jones Industrial Average and S&P 500 close at record highs. COVANCE (CVD) SHAREHOLDER ALERT - Andrews & Springer LLC Is Seeking More Cash For Shareholders Of Covance Inc.
U.S. stock futures point lower; France's Publicis to buy Sapient for $3.7 billion; Argentina suspends Procter & Gamble operations; LabCorp to buy Covance for $5.6 billion. Laboratory Corporation of America ® Holdings (LabCorp ®) (NYSE: LH) and Covance Inc.